Last time we saw the Buffalo Bills, you remember, they were participating in an NFL playoff game. For those of you who hadn’t been sleeping through the early portion of the 21st century, this was surprising and welcome. A generation of fans all found out together that sometimes loyalty to a team can be rewarded every so often. But that was last season. Think of all of the roster moves that have taken place since then, and you’ll realize that early January was a long time ago. It’s a different group, requiring new analysis. Where, then, are the Bills headed in 2018? The needle is pointing more toward pessimism than optimism. That is partly because the team was such a surprise last year. 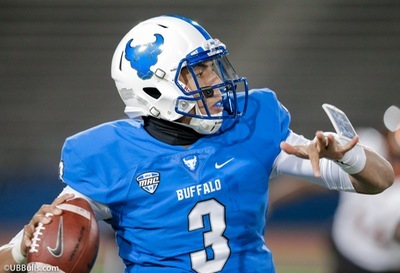 Buffalo made it to the postseason with a 9-7 record. They were lucky. They won all the close games and lost the blowouts. In a normal world, they could have been 7-9. Still, do not underemphasize the importance of ending the streak of playoff-less years. The pressure on the entire franchise has been lessened, which could make a large difference down the road. Even so, the Bills have a weaker roster this season. Their two best offensive linemen in Eric Wood and Richie Incognito are gone. Tyrod Taylor was no John Elway, but he took care of the football and could get out of trouble with his feet at times. It is impossible to guess what the team might have at quarterback in 2019, but it is tough to predict a large improvement there – particularly behind this offensive line. 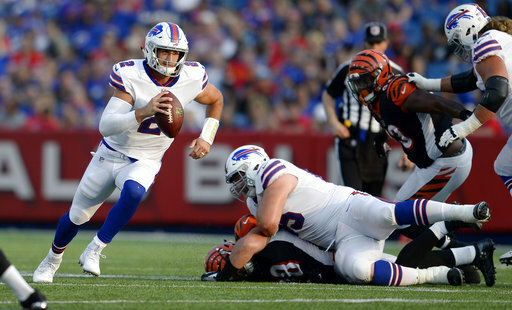 If Nathan Peterman and/or Josh Allen produce quality quarterbacking this year, it would be a big help – but it is unlikely. The running game has better talent from one through three this time. LeSean McCoy looks capable of carrying a heavy load this season, and there is more help behind him than in previous years. But the line’s problems may affect the unit, and an injury to McCoy would be damaging. The wide receivers don’t look particularly scary entering the season; we’ll have to see is someone emerges to help. On defense, the lack of pass rushers remains a concern. Shaq Lawson needs to show he can be a consistent force in the NFL, and fast. Good health for Kyle Williams would be nice too. At linebacker, it sounds like Tremaine Edmunds will be a welcome addition someday. Does that mean this year? He’ll be given every chance, but it’s a lot to ask a 20-year-old to provide as much as Preston Brown gave the team last year. The secondary looks good, but a good pass rush would make them better. The Bills are paying a lot of money – millions – for players who aren’t going to be playing for them this season. The large amount of “dead money” is necessary to clean out the yearly financial situation, but it’s not going to help the squad this season. On the other hand, Buffalo projects to have a great deal of room under the salary cap next season. So there’s hope. The Bills’ coaching staff and management deserves some breathing space based on what they did last year. This is clearly a professional group that knows what it is doing. There are those who think Buffalo could be one of the worst teams in the league this season, but it’s tough for me to completely believe that. The Bills still get to play the Dolphins and Jets twice a year, and it’s tough to believe that they won’t pick up some wins there. The number that pops into my head is six wins, as in 6-10. If the Bills stay close in games, Steven Hauschka’s accurate kicking might push them ahead to that point. Next year, they’ll have the money to bring in more talent, and Allen may be ready to take a big step forward at quarterback. (He’d better be ready to do that eventually, because the Bills took a big gamble in trading up to get him.) I’m willing to be patient and wait for 2019 for a sign of true progress. The Bills bought themselves a little time last season. They will need it.